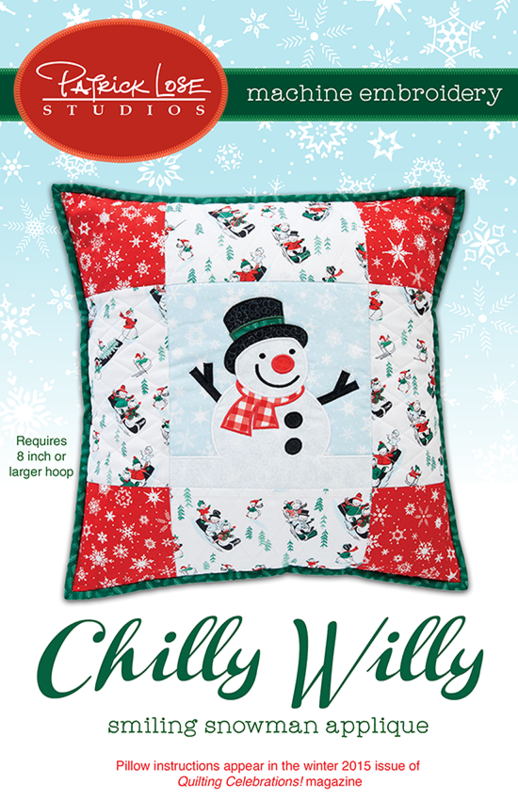 Stand alone ornament design as seen in the Chilly Willy pillow on the cover and page 4. You must have a copy of the winter 2015 issue of Quilting Celebrations! if you want the pattern and instructions for making the pillow. This file is for the applique snowman block.